This is a sponsored post written by me on behalf of Dixie for IZEA. All opinions are 100% mine. I told you last week about my pledge to go #DarkForDinner with my family, and I promised to report back how it went. The movement challenges families to spend a Sunday night dinner without any screeens. No phones, no tablets, no TV. We moved our entire dinner outside to be completely free of electronic distractions. We had a blast! 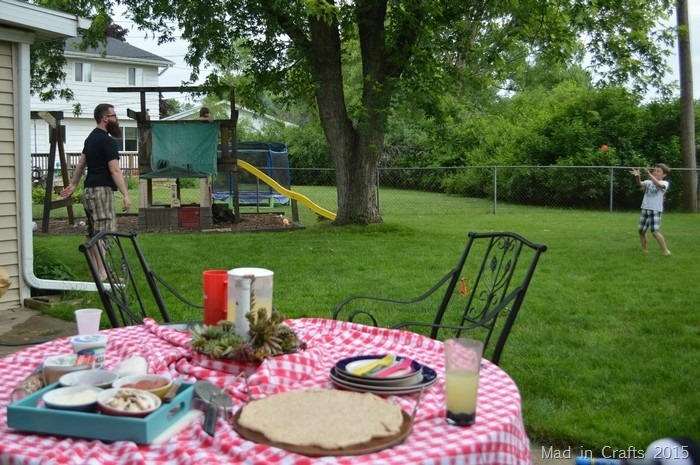 Since I was already planning on eating out on our patio (something we don’t do often enough in the summer), I decided to make dinner prep an outside experience too! For dinner we had DIY pizzas cooked on our charcoal grill. 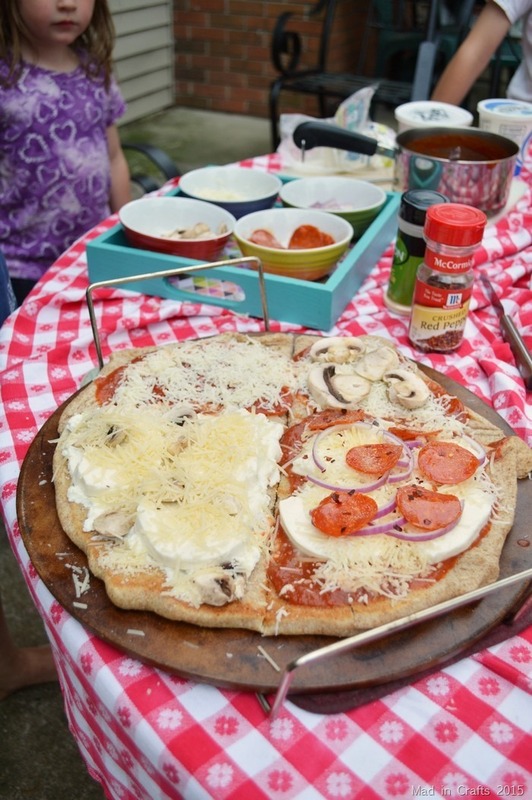 I let the kids design their own pies and then we cooked them on a pizza stone over the coals. 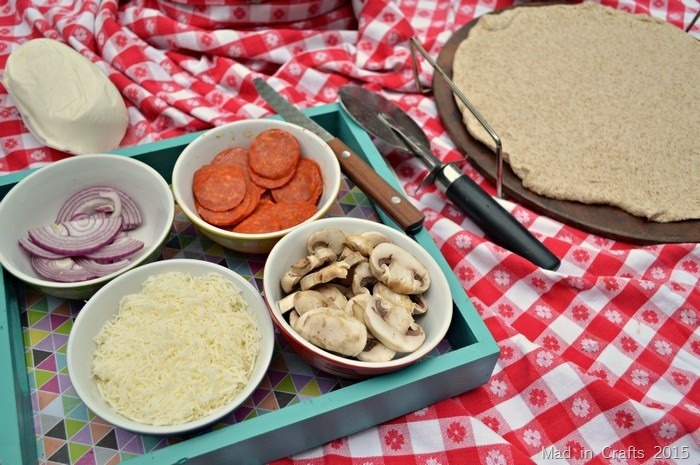 If you have never grilled a pizza before, you really need to try! The smoke adds a delicious flavor to the crust especially. There is a reason some of the best pizza places use wood fired ovens. This was the first time we had done the pizzas over charcoal, and it took a bit longer than I was expecting. Instead of a screen-free hour, we had a good 2+ hours outside without any internet or TV. Other than the kids getting a bit hangry since dinner was late, it was a great night! How did your dark dinner go?